The Rapier is a high speed two seater, originally in the sales brochure as "unchallenged in its class for looks, performance, comfort and price". Moulded in mahogany on prime English oak, chrome plated bronze fittings and windscreen surround. It comes fitted with removable two tone vinyl and foam seats. 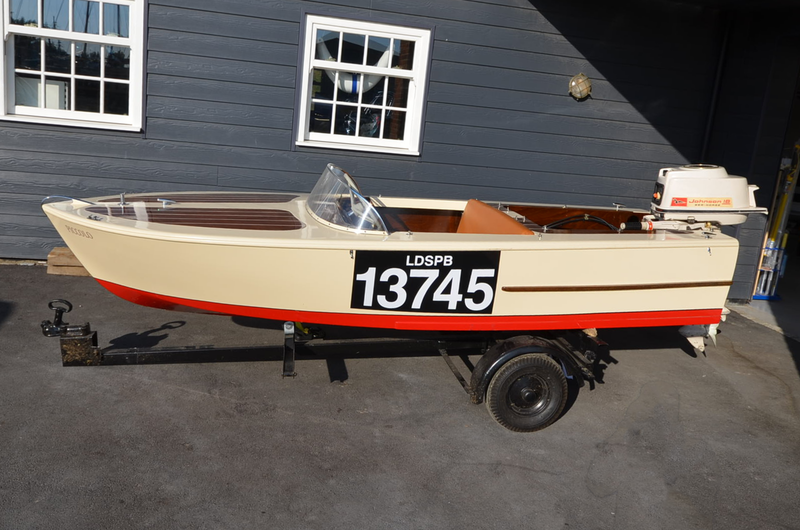 The restoration of this boat was done over a two year period however it is still complete with its original engine, trailer, paddles and waterskis! Due to the Rapier's light weight it can be easily handled by one person. This hand made, beautifully crafted collectable is available for viewing at Essex Marina. To arrange a viewing or to find out more information about the boat please call 01702 258885 or email sales@boats.co.uk. Buy this boat for as little as £121.60 per month. per month.